Did human DNA hitch a ride to Mars? 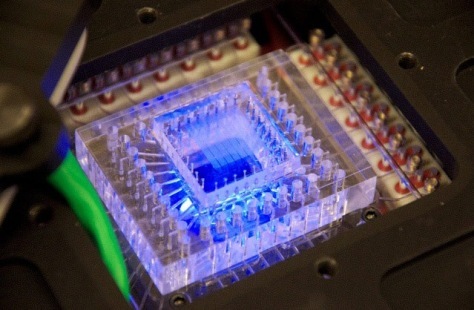 This 2 centimeter by 2 centimeter microfluidic chip is part of the SETG instrument. Tiny tubes feed in chemicals and ultraviolet light illuminates fluorescent dyes that help identify and analyze DNA.